Despark College was awarded 5 stars accreditation by the Department of Skill Development (JPK) for 3 branches: Petaling Jaya, Melaka and Penang campus. We are proud that all branches of us received excellent rating. All 4369 accredited centers across the country offering the Sijil Kemahiran Malaysia courses went through test and graded by the Department of Skill Development in Malaysia on October 2015, and was rated 5 stars for its excellent study environment and learning materials. The criteria of evaluation included the quality of trainers, lecturers and support staff, quality of courses offered, quality of facilities and equipment, graduate success, sufficient loan, sponsorship and scholarship and more. With the co-operative atmosphere, Despark’s dedicated support team works hard to reach new heights, and was more than capable of meeting the requirement of excellence. The objectives of Department of Skills Development’s first-ever nationwide audit was carried out to assess Accredited Centres offering Sijil Kemahiran Malaysia (SKM) courses to ensure all centres are operating according to the standardized procedures and courses run effectively. As such, Parents and students may choose their college wisely when the Department Of Skills Development has come up with a measuring tool to assess the quality output of vocational education institutions. The audit results are available for public viewing at the Department of Skills Development website at http://www.dsd.gov.my/starRating2015/carian_program.php. 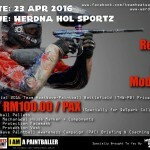 A paintball event organized by Despark Student Representatives Council will be held on 23rd April 2016, Saturday. 5 students per team, coaching will be provided. Students who interested can register at admin counter or contact SRC member Loh Kin Hoo. Interested in our courses, but want to try for a free trial automotive lesson? Please take a moment to SMS/Whatsapp your name and address to 012-3641882 for seat reservation at Despark Penang. Study Together with Your Friends! Good News to Despark Students and Despark Alumni, You may Now Win an Ipad Mini 4 (Cellular and Wifi) by Joining our Student Referral Program Contest using Mobile Phone! Drift like a PRO! Register now! Despark students and MPP organise Go Kart Drifting event to involve all the students and staff. For the early bird, top 50 students register with only Rm140. Anyone interested please register at admin counter. We look forward to see you ! To All Despark Students, Persue Your Dream with Your Friends! 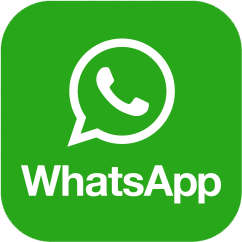 Having friends who interested with automotive or aircraft BUT not motivated to study yet? Recommend him to us and get your rewards by just using your handphone! Ipad Mini 3 is waiting for you! 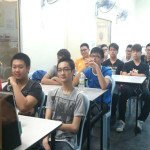 Students have a chance to experience a free trial class during open day at Penang branch. Despark College had organized a student learning trip to one of the pioneer technology universities, Jiao Tong University in Kun Ming, China. With the expert experience and professionalism throughout the entire course, students discovered the culture of China and gain additional knowledge about automotive. It is truly a great vision broadening experience. Catch up with Despark College for more learning trips in more countries such as London, Japan, Europe and etc. Hybrid Vehicle Technology short course is available in Despark College. We always ensure that our teaching materials are updated and upgraded to the latest advance technology.